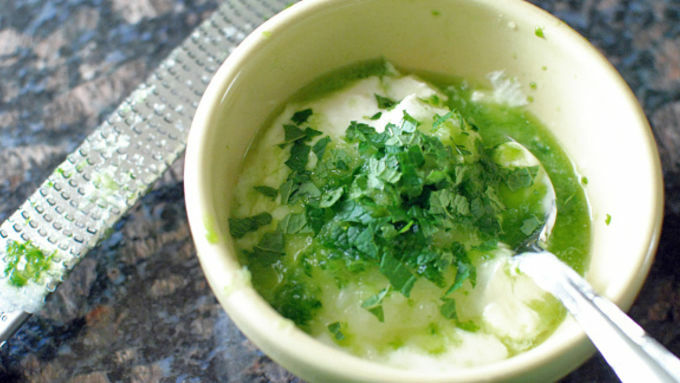 Mix the raita ingredients in a small bowl. Stir well and refrigerate while you make the rest of the meal. The further you make this in advance, the better it will taste (up to 3 or 4 days). Cut the cod loin into 4 chunks that are similar in size to the buns. Salt the fish. 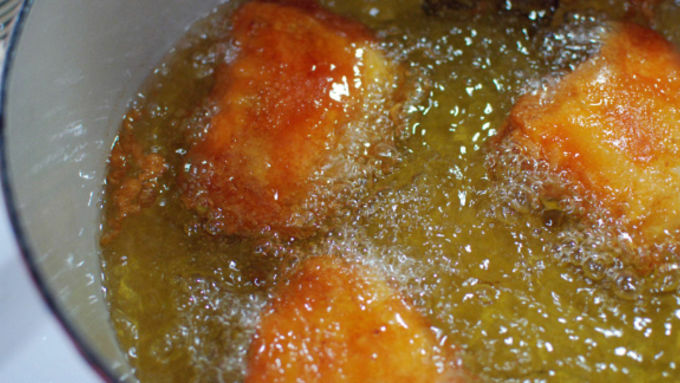 Bring oil to 350°F in a Dutch oven or countertop fryer. 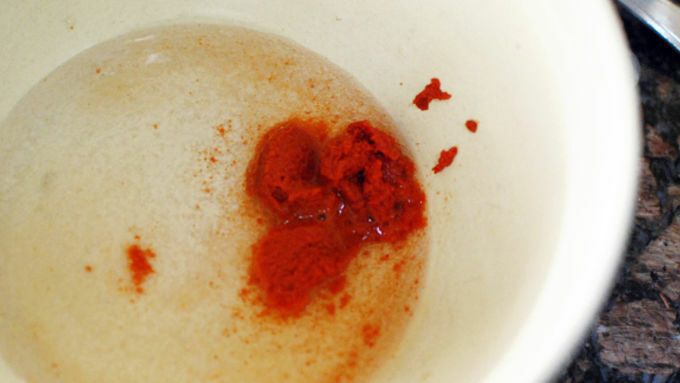 Whisk the curry paste into a small amount of the water, then add the rest of the water and ice cubes. 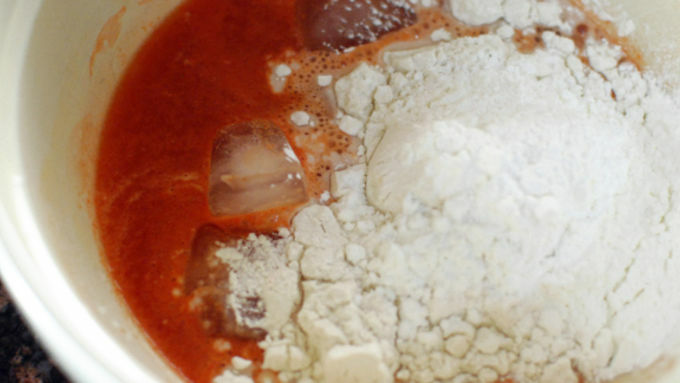 Add in the flour, corn starch, and salt, and lightly mix. Don't over mix, there will still be some clumps. The mixture should be thinner than pancake batter. Add in the flour, corn starch, and salt, and lightly mix. Don't over mix, there will still be some clumps. The mixture should be thinner than pancake batter. Lightly dredge the fish in flour. Then dip into the batter and fry. Fry about 5 minutes until the coating is browned and the fish is cooked through but still juicy. Spread some raita onto the buns and top with the fish. Add some lettuce and serve. 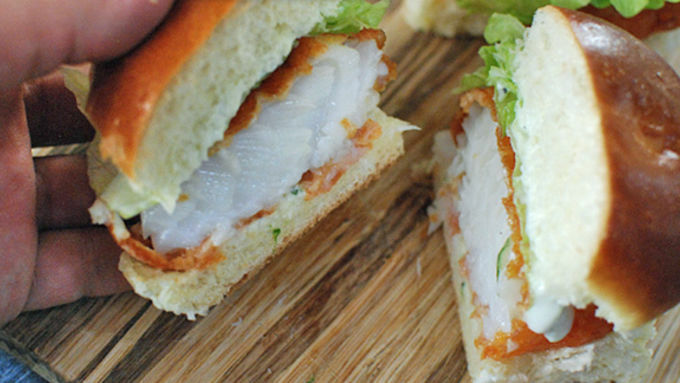 It's fish sandwich season, and we've got one that beats them all. Fish on Friday? No problem. 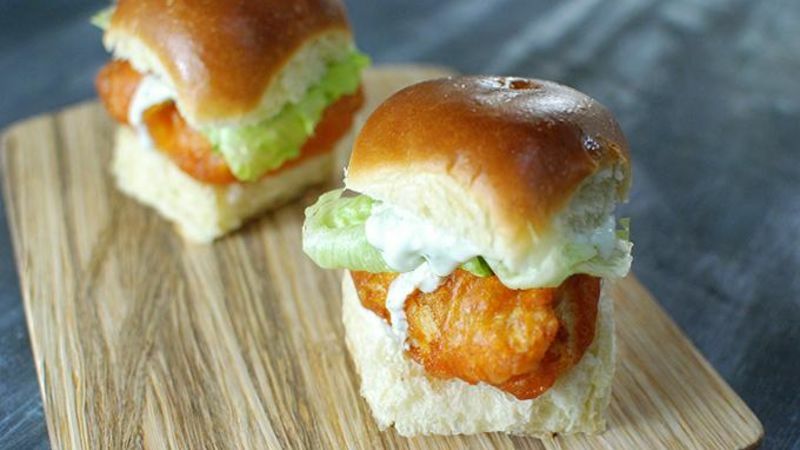 With this Red Curry Fish Sliders recipe, you'll look forward to Fridays! A nice battered fried fish has to be one of the best foods out there. I love it on a sandwich, but this time I wanted to make something a little different. I decided to put a little red curry paste right into the batter and use a mint raita instead of the traditional tartar sauce. I loved the unexpected curry flavor in the batter, and it matched perfectly with the sauce! I made these slider-sized for a really fun party app, but feel free to make a meal-sized version for a great weekend lunch.